Edge at Union Station has a rich history that is accented in the restoration of this storied building. Living at The Edge enables you to experience the elegance of yesteryear with the latest modern amenities. The current building was constructed in 1914 by Osgood Bradley Car Company, which is considered to have been the oldest manufacturer of railway passenger cars in America. Osgood Bradley manufactured cars for national railroads, including the Boston Worcester Railroad, New York Central Railroad and Union Pacific Railroad. It also exported passenger cars as far as Argentina, Cuba, Portugal and Philippines. In 1930, Osgood Bradley was purchased by the Pullman Standard Company, which manufactured the popularly remembered streamliner railway passenger car in Worcester. These attractive, lightweight cars encouraged public use of rail transportation while offering improved economy to railway companies. 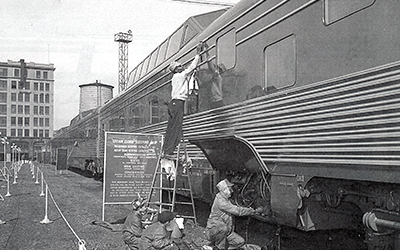 Soon, Pullman cars were criss-crossing the United States. The widely popular American Flyer toy train sets of the 1940s-1950s were named and modeled after the Pullman cars. Both companies played a leading role in establishing Worcester as an industrial hub throughout the twentieth century. Rising eight stories from a concrete foundation, the Osgood Bradley building was designed as a leading-edge, fire-proof brick structure with a distinctive shape. Most striking is the decoration of its facade. The facade’s first story is granite blocks, with shield, scroll and flower designs. All of the windows on the façade have concrete sills, a visible element of its fire-proof design. The roof has castellations, which are battlements to give the appearance of a castle, and dentils, a classic repeating block ornament. 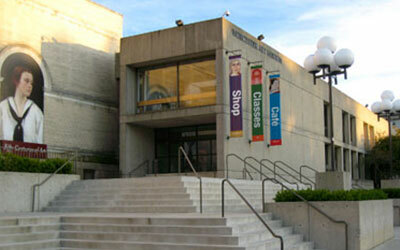 The building was designed by the well-known, New York City industrial architect and engineer, Walter S. Timmel. What sets Edge at Union Station apart is the desire to make each of its newly renovated apartments a great place to live. Careful attention goes into design, quality and sustainable construction materials, meticulous building and grounds maintenance, state-of-the-art security systems, personalized roommate matching, and social activities that promote community spirit. Edge at Union Station is centrally located – just steps away from the train station and at the hub of the city’s best restaurants, museums, parks, bike paths, shopping and more. 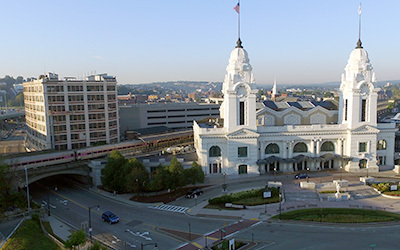 Residents will experience the excitement of all that downtown Worcester, the Canal District and Shrewsbury Street have to offer.